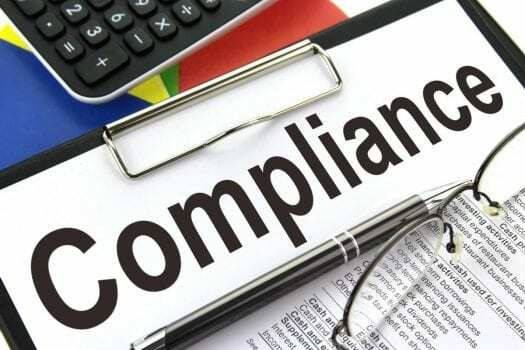 A recent survey of SME leaders, by Hitachi Capital Business Finance, revealed that, thanks to issues like Brexit and the General Data Protection Regulation (GDPR), 28 per cent of small business bosses are concerned about compliance. It now tops the list of anxieties, beating back cash flow problems into second place. The best way of reducing anxiety and uncertainty is to make sure that you are informed. Here is our introduction to new and emerging areas of business regulation to take note of. GDPR was implemented on May 25th 2018 and has implications for businesses of all sizes. This piece of EU data protection legislation bolsters the rights of individuals to protect their personal information and places a higher level of transparency and responsibility on companies who may store, share or process it. If you already have a robust data protection regime in place, you might fulfil many of its requirements. But it’s best to be sure, as non-compliance can lead to hefty fines from the regulator. Look at the ICO GDPR advice for small businesses to ensure you’re fully compliant as soon as possible. This section of their website contains the answers to FAQs, self-assessment checklists and details of their advice service. Getting on top of data protection make sense for any company in the digital age. Female business owners championing workplace equality might want to be proactive about hiring a proportionate amount of women for prominent positions. But whatever your approach to the issue, since 30 March 2018 it’s been mandatory for any UK firm with 250 employees or more to report their gender pay gap. While this is ostensibly not yet an issue for smaller businesses, pressure is already mounting for pay gap reporting to be extended to smaller companies. And if you are a supplier to larger businesses, bear in mind that they often expect this suppliers to report on the same basis as the core company. If this applies to you and you’ve not yet complied with the rules, read the guidance from the Equalities and Human Rights Commission to get up to speed. Submitting the relevant facts and figures shouldn’t be too complex and may, in time, contribute to achieving a level playing field for women across a wide range of industries. This year it become illegal in the UK to impose additional surcharges to payments made by credit or debit card, or made online. You may have noticed that those add-on charges, that used to be commonplace when purchasing travel tickets in particular, have vanished. If you take payment by card in a retail outlet, you can no longer charge for smaller payments. Action Fraud, the UK’s national reporting centre for cybercrime and fraud, recently reported that these crimes affect one in 4 small businesses and cost a cumulative £18.9 billion in losses. Smaller firms often lack the wherewithal to withstand fraud and corruption in the same manner as their larger counterparts and, in extreme cases, these issues can cause an enterprise to collapse completely. So locate a good lawyer fast if you’re affected. The Law Society has a nationwide database of recommended solicitors — check their website for help finding one in your area. Then narrow down your selection by finding a practice with experience defending cases brought by authorities like the Crown Prosecution Service (CPS) and Serious Fraud Office. It’s wise to talk to a business law solicitor immediately if you fear your company has fallen victim to fraud or is accused of internal irregularities — the steps above should help you locate one. Making sure you’re protected in terms of compliance and are mitigating against financial risk helps you futureproof your business. So it makes sense to take the law seriously and be proactive about abiding by the rules — staying above board with these four issues is a great start. Are you confident with SME legal issues? Share your thoughts in the comments section.